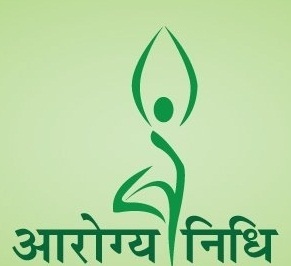 India is a signatory to the Alma Ata Declaration of 1978 and had committed to attaining "Health for All" by 2010 AD through the primary health care approach. The establishment of primary health centres in India started as early as in 1952, and over the last five decades it has undergone several changes to meet the increasing demand for health care services. Until the Eighth Five Year Plan, the emphasis was on the expansion of the health care establishment. However, during the Eighth and subsequent plans the emphasis was mainly on consolidation of existing health infrastructure rather than on expansion. “The thrust has been on qualitative improvement in the health services through strengthening of physical facilities like provision of essential equipment, supply of essential drugs and consumables, construction of building and staff quarters, filling up of vacant posts of medical and paramedical staff and in-service training of staff.” In line with this, the Ministry of health and family welfare (MoHFW), Government of India (Gol) is implementing it under the NRHM umbrella. Sub-centres are peripheral contact points between the primary health care system and the community. Two ANMs are recommended by IPHS at each facility. A PHC, on the other hand, is the first contact point between the village community and the medical officer. A PHC is expected to have a 2 Medical officer (One from AYUSH) and 6 paramedical and other staff. It acts as a referral unit for 5-6 sub-centres. It should have 4-6 beds for indoor patients. The activities of the PHCs involve curative, preventive, Promotive and family welfare services. CHCs are basically referral centres for PHCs. Its manpower strength includes seven medical specialists (General Surgeon, physician, gynaecologist, paediatrician, anesthesiologist, eye surgeon and public health program Manager) supported by 21 paramedical and other staff. There is a provision of contractual staff also as per need. It also should have 30 in-door beds with one OT, X-ray, labour room and laboratory facilities. The primary objective of the facility survey is to assess the existing situation of the health care facilities available in the government health care establishments at different levels in terms of infrastructure, staff, equipments and drugs. Percentage of Infrastructure facilities as per the IPHS norms. To identify the gaps of manpower as per IPHS norms. Percentage availability of equipments as per IPHS norms. Percentage availability of Drugs as per IPHS norms.